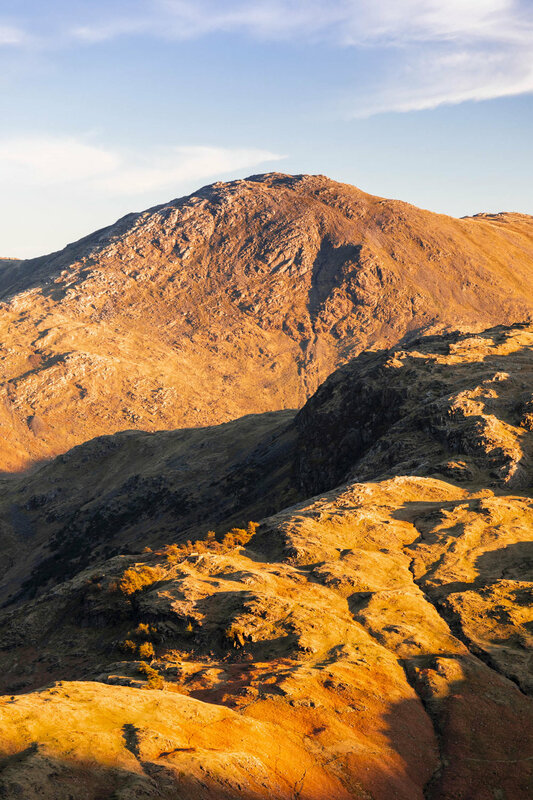 I travel to Blea Tarn to capture a magnificent sunrise and make the most of the stunning Lake District morning, with a short mountain hike, in this landscape photography vlog. Over the past two years I have shot a lot of landscape photography, more than ever before in a short space of time. I recently printed out a 4x6 print of one image from each of the vlogs I have shot this year. It filled my wall and it is a body of work I am extremely proud of, especially with a film to accompany each one. I have learned a lot and it has been a thrilling experience. One of the biggest things that has struck me is the enormous sense of wellbeing that is generated when I go out shooting. This week was a particular example of that. I spent Thursday in the Lake District running a workshop and did not get back to my hotel until about 8pm. I was joined laterby my good friend and photographer Lyle McCalmont. We enjoyed a well earned couple of drinks before heading to bed. There was little rest though. We were up again for 5am to get over to Blea Tarn for some sunrise photography. When I arrived I was feeling a bit low. Tired, frustrated by the drive and not particularly ready for it. 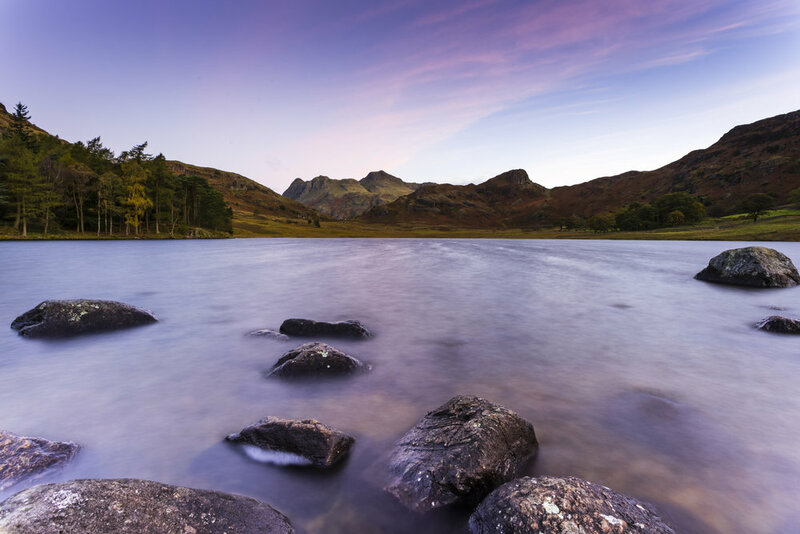 Even when the incredible pink sky appeared above Blea Tarn and the distant Langdale Pikes I felt underwhelmed even as other photographers who were present were whooping and cracking out high fives. For me it has become about so much more than the simple art of capturing an image. The morning progressed and we hiked up a small mountain as the rising sun began to lash the crags around us. We had fun getting a couple more images before nailing some footage for the video. We eventually made it to the top for the breathtaking 360 degree views. The feeling of elation and joy was palpable. The exercise, the effort, the hard work and the challenge are all part of what provide the sense of achievement and wellbeing. Part of the drive is to produce images that others don't have. The Blea Tarn shot, whilst a perfectly good shot, felt too easy. The spot was about 1 minute walk from the car and the other photographers present were all capturing very similar images. Hiking up immediately puts you in territory that most people are not willing to venture into. It creates a much better opportunity for finding unique and interesting compositions. I do not purposely try to make things more difficult but the lasting memories and feeling of success is much greater when I have had to work for it. Looking at my wall of 4x6 images now, brings back rich and vivid memories of each experience. There is a story behind each one that makes me feel happy and proud every time I look at them. I can not wait to create the next one. This week I climb the mighty mountain of Blencathra in the Lake District. A tough but rewarding climb followed by an interesting sunset in this landscape photography vlog. Despite my numerous visits to the Lake District in the past I have never climbed Blencathra. It sits proudly on the North Eastern edge of the Lakes like a mighty gate-keeper. There are numerous ways to summit the mountain. I choose the hardest path aiming to capture the drama of this mountain. The weather was absolutely beautiful and hot, making the climb difficult and the photography conditions even harder. Capturing great landscape photography in conditions where there is nothing but blue skies is tough. Faced with harsh light and huge contrast, it’s important to get in the right spot and think creatively. This is where black and white photography can be very effective, especially when you work a composition that is full of interesting tones. Recently I have been fully enjoying creating the films in company with a friend. Today I headed out with my friend Paddy who is an experienced walker and explorer. He also has a van called Christopher and he has recently launched a new Instagram account to chronicle his adventures. See the link above. At the end of the day we headed down the mountain for a sunset shot. We made it with minutes to spare just as the sun dipped behind the mountains. I had picked out a little spot by a small body of water called Tewet Tarn. The area was thick with midges and, whilst I would normally avoid this, today I had no choice. I wanted the shot. In the end I captured an image to finish off the story of my day and Blencathra. A fire had also been raging during out decent. The smoke filled the Derwent valley and created some interest in the sky that made for a decent time lapse at the end. All in all, a great day of landscape photography. I travel to the Lake District to take a special guest up a mountain in this landscape photography vlog collaboration. Shooting landscape photography often attracts the kind of person who is not afraid to be alone. Solitude is embraced and a sense of wellbeing arises from the time to ponder, to reflect and to review your current situation in life. Positive as this is, loneliness can easily sneak up on you so it's important to share your passion and talk about what you love. There is no better way to so thisthan to head out on a photography trip with friends or like minded people. It is one of life's true pleasures. Heading out on a shoot with other people is very beneficial. You can learn from each other, see how others work and talk about landscape photography all day long. Your skills will definitely improve. With this in mind I had wanted to do a YouTube collaboration for a while. I had been reaching out to numerous different people to try and make things happen (some will still happen) but arranging a get together is easier said than done. So when Andrew Marr contacted me saying he was heading over to the UK I knew something had to happen. Andrew is a talented landscape photographer from Australia and has been creating photography vlogs for nearly a year. His calming presence and thoughtful compositions have earned him a loyal following from around the world. We quickly realised our schedules were going to match nicely so we took the opportunity to meet up and go on a shoot together. The day was absolutely brilliant and we spent the entire time talking landscape photography, YouTube, a bit of cricket and getting to know each other. It was a truly rewarding experience and I hope to repeat it soon. Both with other YouTubers and landscape photographers but also to make the return journey to Australia at some point. I would love to capture some sunset photography on those amazing Australian beaches. Please let me know if you would like to see me do any further collaborations. Tell me who, but maybe more importantly, tell them as well. 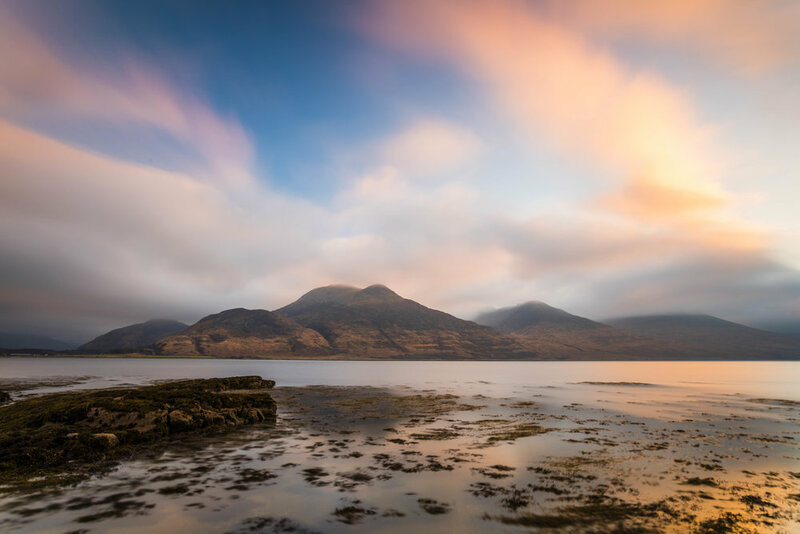 Stunning sunset photography, mountain views, and a visit to the Lake District all feature in this landscape photography vlog that sees me get back to basics. 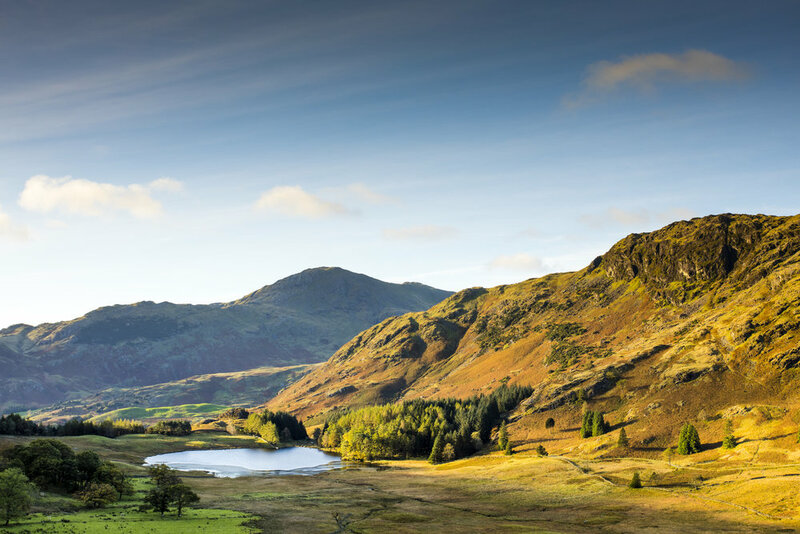 In this Landscape photography vlog I recover from the recent challenges and get back to basics with a trip to the English Lake District. I climb a mountain, live in hope of the right weather and capture some stunning sunset photography. Days when you capture your best landscape photography are rare. It provides frustrations and anguish on a regular basis but when things go right, it is very very special. You have the composition, the light comes good and you shoot an image to be proud of. It is because this does not happen every day that it becomes so special. All the struggles and learning suddenly become worth it. Making the most of the longer Spring days I headed across to the Lake District late in the day to climb Wall Crag overlooking Derwent Water. What a landscape photography tutorial often ignores is that climbing up mountains and hills is not easy for many people. I am included in this at the moment due to dreadful fitness. I stated a long time ago that I would address this problem. I haven't yet. I must. When i made to the top I was welcomed with a stunning view. I played around with several compositions and settled on one that included some of the crag in foreground. One of my favourite landscape photography techniques is to use bracketing instead of ND grad filters. I prefer this for a number of reasons, and will be making a video about this soon, but it ensures I don't miss the big sunset moment. It turned into an incredible day with a feeling of wellbeing that is difficult to match. I also captured an image I am proud of. Hit the link above to buy a limited edition print of the work.